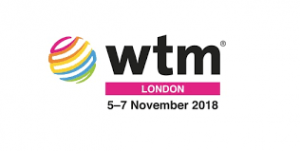 World-renowned companies from different industry sectors are throwing their support behind the new International Travel & Tourism Awards, presented by WTM London. Europcar, Turkey, National Geographic and World Tourism Cities Federation have all signed up to sponsor the inaugural ITTAs, which celebrate the success of national, regional and city tourist boards and recognise outstanding private sector companies and individuals. The 13 awards will showcase the best-in-class of the global travel and tourism industry at a glittering event attended over 500 senior industry professionals on Day Two of WTM, November 6 2018. National Geographic Travel is sponsoring the award for Best National Tourism Board/DMO Campaign, which has nine contenders. George W. Stone, Editor in Chief of National Geographic Travel, said: “We are pleased to be part of the International Travel & Tourism Awards and delighted to sponsor the Best National Tourism Board Campaign. “We are so happy to shine a light on the tourism boards that are doing it right—creating smart campaigns that positively impact both the travellers visiting the destination and the locals alike.” The Turkish Culture and Tourism Office is sponsoring the award for Best Digital Influencer in the Industry. Volkan Akgul, UK Director of the Turkish Culture and Tourism Office, said: “We are constantly in contact with influencers and companies that have an impact in this field, and we have worked on various collaborations with tremendous results. We are excited to be the sponsor for Best Digital Influencer in the Industry. The World Tourism Cities Federation (WTCF) is sponsoring the Best Regional/City Campaign category, presented to the entrant that has best showcased its vibrancy, culture and individuality through an innovative campaign. Guided by the core vision of ‘Better City Life through Tourism’, the 200-members of WTCF aim to facilitate exchanges and cooperation among members, spread the experience of tourism city development, promote tourism products and resources, and contribute to the development and prosperity of world tourism industry. WTCF Executive Deputy Secretary General Li Baochun, said: “This is the ideal sponsorship opportunity for WTCF. “Cities, no matter how big or small, are the first contact point of tourist arrivals. Nowadays, some tourists even recognise a specific city more than a country where this city is located. Europcar.is also a partner of the ITTAs. Gary Smith, Managing Director of Europcar Mobility Group in the UK said: “Europcar UK is proud to support the International Travel & Tourism Awards. “These awards are an excellent way to showcase best practice for the travel industry; any company receiving one of these prestigious awards will be setting the standard for the travel sector. International Travel & Tourism Awards, Co-founder, Paul Nelson, said: “We’re delighted that such high-profile sponsors have thrown their weight behind the inaugural International Travel & Tourism Awards, which recognise exceptional individuals and businesses that have made incredible contributions to the global travel industry. “The credibility of the ITTAs is underlined by the fact that the selection process involves an independent panel of judges who have used their expertise to shortlist high-calibre contenders from around the globe. The International Travel & Tourism Awards will take place on Tuesday, November 6 2018 at Tobacco Dock, Wapping Lane, London.